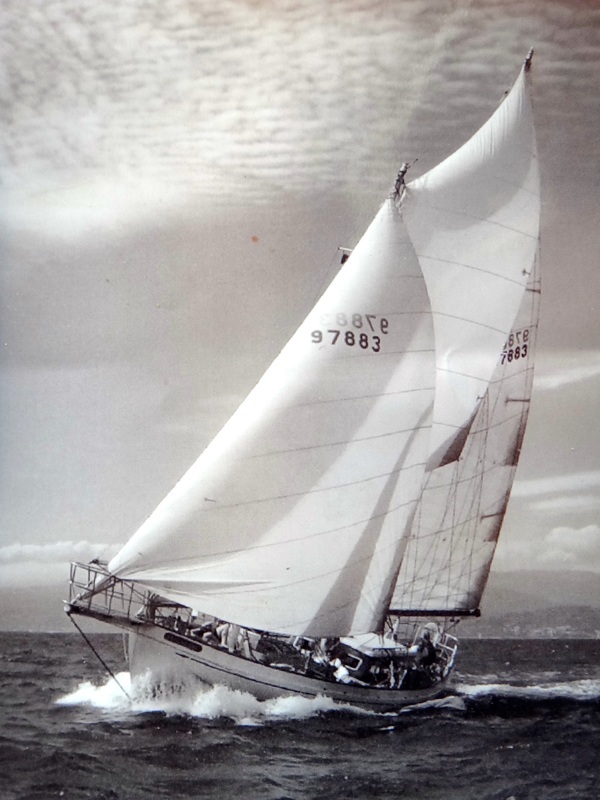 Above is my dad's schooner which we kept in the family for thirty years and moored in Newport Beach. 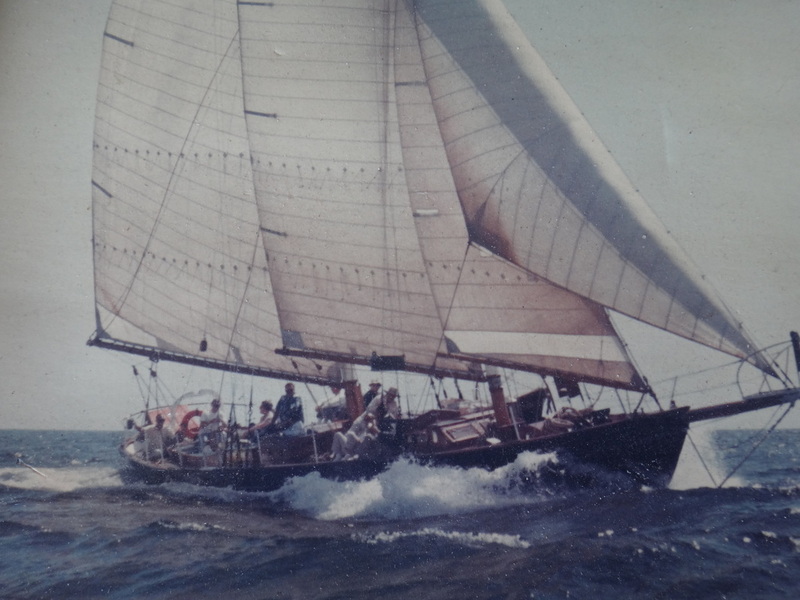 Below is the 55' schooner "Samarang" that I raced and cruised for twenty years in So. Calif waters with my two boys, Josh and Tyler. Center is Viking #9 of eighteen that were built by my close friend and and master shipwright, Don Pedersen. Far right is the 82' Alden schooner "Serena" which I was lucky enough to make two Trans-Pac races on board and was introduced to the thrills and sometimes insanity of ocean racing. SYMMETRICAL SPINNAKERS (BOTH LUFFS THE SAME LENGTH) ARE ALSO BEING DISCOUNTED. WE ARE TOTALLY OVERSTOCKED!! NOW TILL June 1, 2019 TAKE OFF ADDITIONAL 25% FROM OUR ALREADY VERY LOW PRICES. Any inventory number on symmetrical spinnakers is O.K !! NOW TILL JUNE 1ST 2019 WE ARE DISCOUNTING "HIGH TECH" (ERNIE CALLS THEM PLASTIC SAILS) SAILS 40%, Many are like new and in excellent condition, MYLAR-KEVLAR-CARBON FIBER-ETC. BY-NORTH-QUANTUM-DOYLE-HOOD-ETC. When you take 40% off our already modest prices, yer gonna have trouble sleeping at night !!! 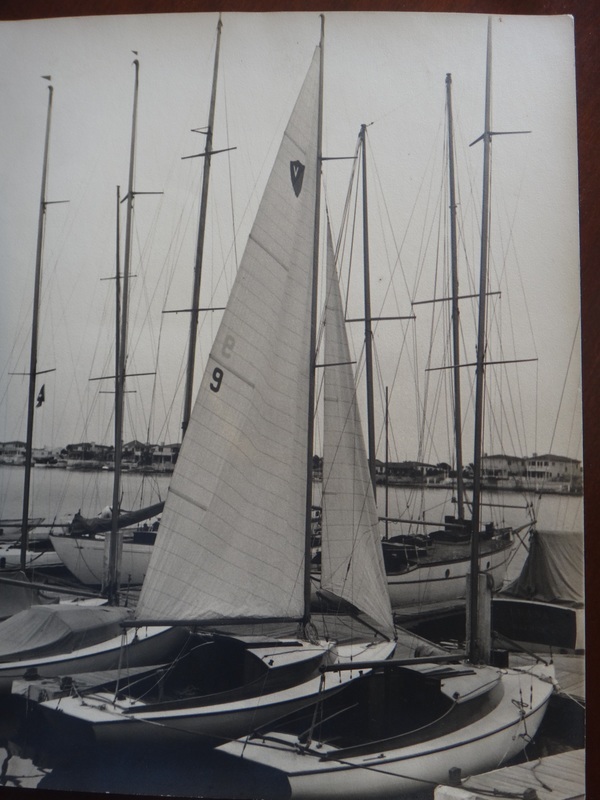 For over forty years, Minneys has been making good used sails available to skippers at affordable prices. Minney's owns every sail on the list. They are tough buyers and easy sellers. If you study their sail list, you will notice that no sail is priced over $1995.00. Minney's will quite often give you a credit on your used sail if you find one of their sails that is suitable for your needs. All sails are sold on approval. Before we ship it or you leave the store with it, it is re-measured and double checked to be certain the measurements as listed and condition are correct. If you are local, you have five days to return the sail. If we ship it to you, after you receive the sail you have five days to let us know if the sail is unsuitable and that you are returning it. If you need extra time because of bad weather etc. call or e-mail us and we'll allow more time. We use FEDEX. All sails are sold plus shipping. On a return, customer pays shipping unless he feels sail was misrepresented or measured wrong. An e-mail or phone call will probably end up with us paying the shipping. Our return rate is less than 5% so the odds are you'll receive a sail suitable for your needs. SAIL SALE !!! All mainsails and headsails starting with inventory #14 or less. Take off an additional 25% until June 1, 2019. Sails in FAIR CONDITION. These are the sails we receive when a skipper buys a new suit. They are well used but have merit, and should last another couple of years in moderate conditions,some need repairs, are stained, roller covers sun rotted etc. They may NOT BE RETURNED and are now available at a 50% discount till June 1, 2019. Ask my crew for photos ! !